People don't usually give much thought to "coat hangers", but take a look at this product. The Worlds Strongest Coat Hanger is a unique coat hanger that can hold a wide variety of items. You are not just hanging a garment – you are protecting your investment or your important sentimental item, when other hangers will just break. 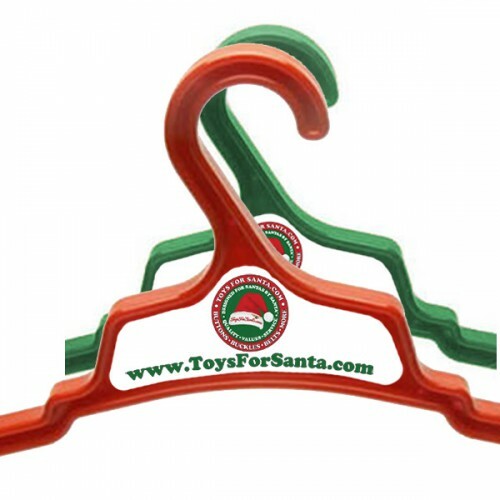 These Santa-Sized hangers are perfect for Santa's large-dimensioned suits and accessories, and includes clips for suspenders and hooks for other gear, as well as all of Mrs. C's clothing items. “The World’s Strongest Coat Hanger” is not just a great item for every home. It makes a great gift. While everyone has a need for a strong hanger, Santa has special needs to protect his investment. 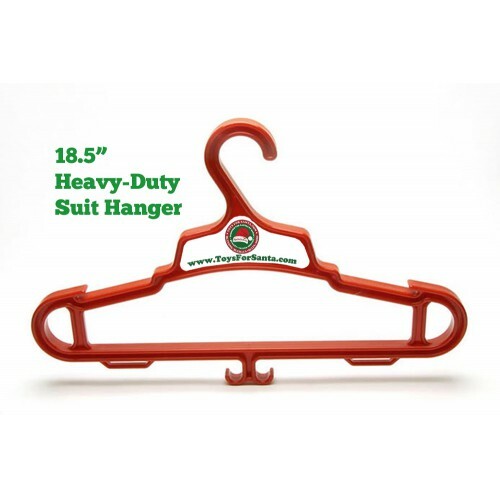 This heavy duty hanger is strong and durable. We carry them in Christmas Red and Holly Green, but in sufficient quantities, we can order other colors; just inquire. Constructed of polypropylene — a soft plastic that is not rigid or abrasive against garments — this material allows the hanger to be flexible and shatter resistant. 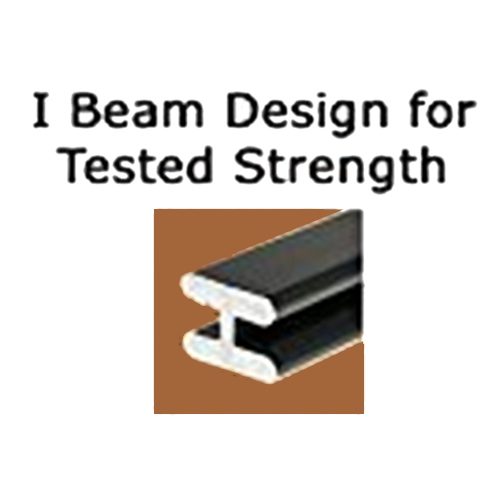 Its I-Beam construction makes it super strong and it has a shear (breaking) strength of 112 lbs. It is nearly 19" wide x 11.75” tall x 3/4" deep and weights almost 9 oz.